The Fire Magic Legacy In-Ground Post Charcoal Grill has the sleek and stylish look of a stainless steel gas grill but offers traditional (and tasty) charcoal or wood chip grilling. The liberal 432 square inch cooking surface offers plenty of room for those char-grilled steaks and hamburgers; the smoker oven/hood provides for all kinds of delicious smoked meats. Standard on this grill are adjustable air shutters for precision heat and smoke control, easy access door for front loading charcoal or wood, an adjustable fire pan to control the heat and an analog thermometer for accurate cooking. 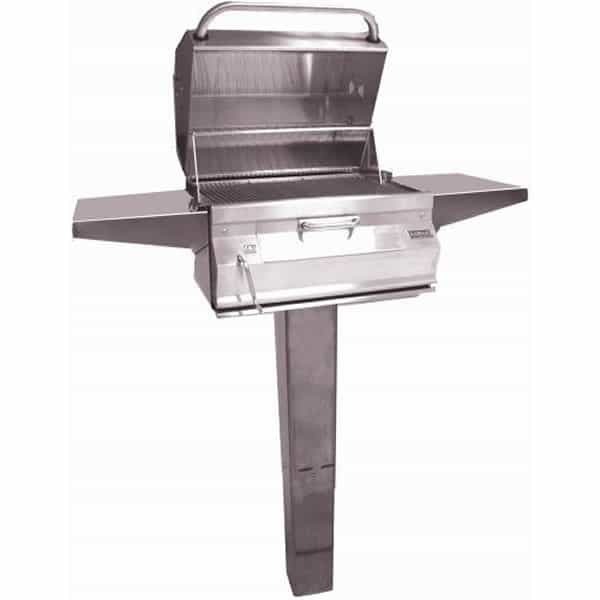 The Legacy In-Ground Post Charcoal Grill is made to Fire Magic’s exacting standards in the USA.